Mark Twain's birthday doodle from Google. 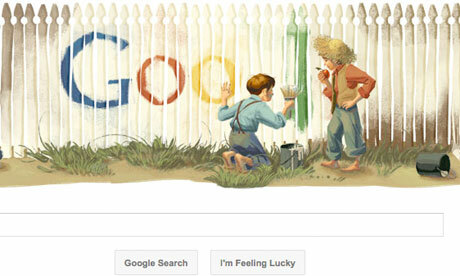 Pictorial homage to Tom Sawyer graces search engine on the author’s 176th birthday. Mark Twain’s classic scene of boyhood one-upmanship, when Tom Sawyer tricks his friends into whitewashing a fence for him, has been immortalised online by Google’s home page. The search engine marked the 176th birthday of the American author with a Google doodle today, showing his character Tom Sawyer tempting a friend into whitewashing over the Google logo that unknown and anachronistic hands have daubed over it. In the novel The Adventures of Tom Sawyer, Tom is ordered to undertake the job by his Aunt Polly as a punishment. A “deep melancholy” settles upon him as he surveys the fence, “thirty yards of board fence nine feet high”. When boys begin to approach and ridicule him, Tom persuades them the work is fun. “All I know, is, it suits Tom Sawyer”, he tells them. “I reckon there ain’t one boy in a thousand, maybe two thousand, that can do it the way it’s got to be done.” They take the bait and bribe him with their treasures to let them whitewash the fence for him, as “the retired artist sat on a barrel in the shade close by … literally rolling in wealth”. Very little is known about the contents of the book, except for the few that have been lucky enough to chance upon a copy. When Charles Dickens began his Tale of Two Cities with the lines, “It was the best of times, it was the worst of times” to portray France on the cusp of its historic revolution, little did he know that circa 2011, those very same superlatives would be used to describe the uncertain future of his medium, the novel itself. 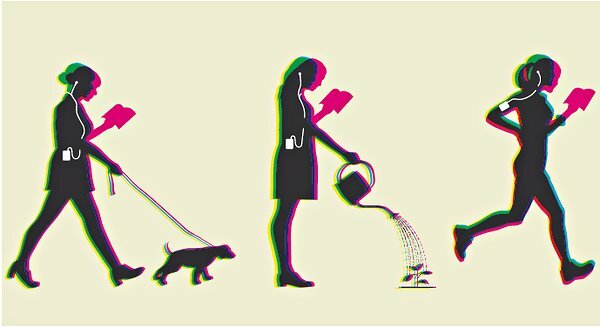 The digital age is shrinking our attention spans, our minds, the time at our disposal. Will it shrink the Great Indian Novel as well? Doom has been prophesised by voices as authoritative as Salman Rushdie and V.S. Naipaul. Rushdie’s latest bit of “writing” was in the form of a limerick on Kim Kardashian’s divorce, posted on the restricted-to-140-characters microblogging site, Twitter. Quite a shrinkage from his 500-page tomes Midnight’s Children and Satanic Verses. India is witnessing a strange phenomenon. Whether it is Amitav Ghosh’s Ibis books or Amish Tripathi’s Meluha adventures, “fat books” (those over 500 pages) are finding takers. So much so, that it is the short story collections (with the exception of award-winning writers like Jhumpa Lahiri) that aren’t selling well. But for how long? Having an existential crisis? 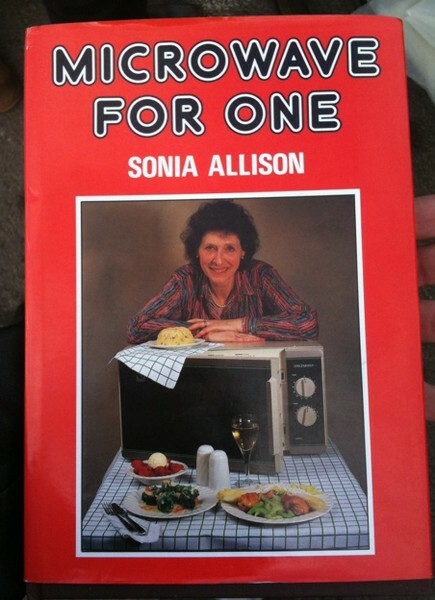 Or just caught in a reading rut? Bibliotherapy is the new service offering solace to jaded souls – by revitalising your reading list. We sent six of our writers to find out if it works. Wander down one of those mildly shabby, fadingly genteel streets in London’s Bloomsbury and you might just find the answer to what ails you. For it is here that you can treat yourself to a blast of Bibliotherapy – a bespoke literary service offered by Alain de Botton’s delightfully offbeat School of Life. Whether you are a whizz on all matters postmodern or you don’t know your Austen from your Rimbaud, these sessions are designed to enhance your reading life by exploring your current habits and preferences and then coming up with a “prescription” for your bookshelf. In part this is a response to the dizzying amount of choice on offer: as their website points out: “A new book is published every 30 seconds, and you would need 163 lifetimes to get through all the titles offered on Amazon.” Put like that, Bibliotherapy fees seem like a good investment for the bookish but bewildered, ranging from £20 for a “speedy session” to £70 for a 40-minute one-to-one (pre-Christmas heads-up: gift vouchers are also available). Reading matter is, of course, an intensely personal choice, despite the proliferation of group activities such as book clubs. But even the keenest of readers often need a little inspiration, or to refresh their jaded palates; and so we sent six of our writers along – from a former literary editor to a student more used to the quickfire language of Twitter – to see what Bibliotherapy has to offer. Beat generation author Kerouac shows signs of future rebellion in 158-page maritime tale published by Penguin. 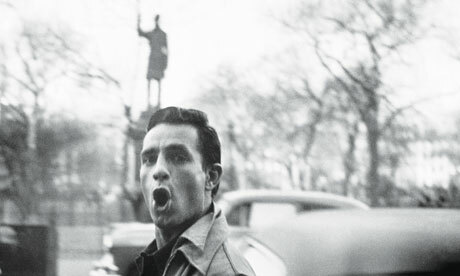 The American beat generation author Jack Kerouac is said to have spent just eight days on active service in the US merchant marines on board the SS Dorchester in 1942; but his short stay furnished him with notes for his first novel and, after nearly 70 years, it has now been published for the first time. The 158-page The Sea is my Brother, a tale of two young men serving on a voyage from Boston to Greenland, has been known about for some time, but is being described by Penguin, its publisher, as “a unique insight into the young Kerouac and the formation of his genius”. Literary critics appeared inclined to agree with the author that the text, although showing signs of Kerouac’s future style, is raw and juvenile, as well it might be, given that he was 20 when he wrote it. Dawn Ward, the book’s editor, said the novel shows a side of Kerouac not normally seen in his books. The manuscript was discovered in Kerouac’s archive by his brother-in-law. The novel joins a growing canon of Kerouac’s published works, though it seems unlikely that he ever bothered to lug the manuscript round to publishers, as he did in the 1950s while trying to sell the work for which he is best remembered, On the Road. Audiobooks are on the rise. Purchasable, downloadable, borrowable from the library, they are making ever deeper inroads into what publishers persist in calling (with touching optimism) “the book market”: a recent article by Peter Osnos on The Atlantic Web site parsed the sales data in anticipation of a “coming audiobooks boom.” There’s something lovely about this. 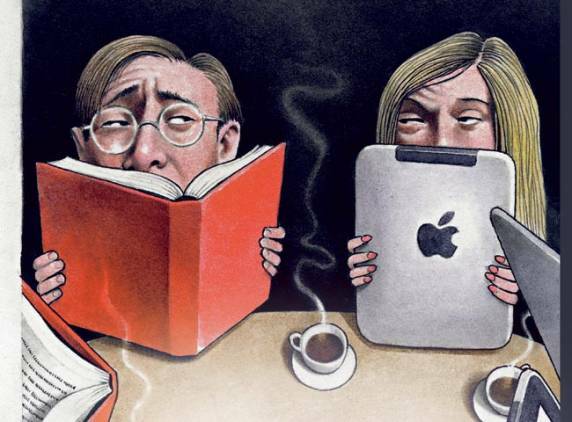 At the very moment the poor old book-object dissolves before our eyes, pecked to pieces by the angry birds of Kindle, iPad and the rest, we are renewing our primary contract with the author by offering him our ears. We offer them intimately — in the car, in the kitchen, or in bed, on headphones, the sleeping spouse-form heavily at hand while poetry or fiction or New Age consolation is piped directly into our cranial darkness. The voice of Eckhart Tolle, well known to the millions of hungry souls who have purchased audio versions of “The Power of Now” or “A New Earth,” is but a strand of the Voice, that human frequency without which, it seems, we cannot do. It feels banal to observe that the voice is older than the printed word, and has a senior claim upon our attention. So banal, in fact, that I’m going to leave it to Oscar Wilde. 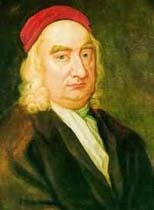 “Since the introduction of printing,” he wrote in “The Critic as Artist,” “there has been a tendency in literature to appeal more and more to the eye, and less and less to the ear which is really the sense which, from the standpoint of pure art, it should seek to please, and by whose canons of pleasure it should abide always.” Wilde’s own interface with audio technology is historically shrouded: did he or did he not, at the Paris Exposition Universelle in 1900, recite part of “The Ballad of Reading Gaol” into the recording horn of one of Thomas Edison’s phonographs? Biographers are unclear. Half a century would pass before Dylan Thomas, quivering Celtic super-ham, sealed the compact between literature and the microphone with a 1952 session for Caedmon Records. Some poems, some shaken jowls, and the literary celebrity spoken-word recording was born. Three years after that, Caedmon’s engineers captured T. S. Eliot reading “Preludes”: “The thousand sordid images / Of which your soul was constituted. . . . ” Morose, incantatory — how does one begin to describe Eliot’s style on the mic? Anglo-Golgothan, maybe. Ruth Stone, a poet for whom tragedy halted, then inspired, a career that started in middle age and thrived late in life as her sharp insights into love, death and nature received ever-growing acclaim, has died in the U.S. state of Vermont. She was 96. Widowed in her 40s and little known for years after, Ruth Stone became one of the country’s most honored poets in her 80s and 90s, winning the National Book Award in 2002 for In the Next Galaxy and being named a finalist for the Pulitzer Prize in 2009 for What Love Comes To. She received numerous other citations, including a National Book Critics Circle award, two Guggenheims and a Whiting Award that enabled her to have plumbing installed in her Goshen home. He claims he’s the son of God and that the world is run by invisible aliens. Moreover he contends the Queen and most of the world’s leaders are the result of humans breeding with reptiles who live inside the moon which is actually a giant spacecraft. 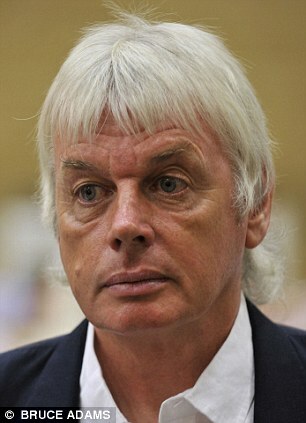 But when it comes to cashing in on his wacky ideas, former sports journalist and all round oddball David Icke has proved he’s far from crazy. His eight-hour long shows, in which he backs up his ludicrous conspiracy theories by comparing pictures of the Queen to childish sketches of aliens, are proving inexplicably popular. Last weekend the 59-year-old sold out the 2,100-seat Best Buy theatre in New York’s Times Square with tickets going for £45 a throw. The self-obsessed polygamist, who believes he can talk to hills, received a standing ovation despite claiming that 9/11 was an inside job and that Barack Obama is a reptile. As he arrived in New York he posted a message on his blog saying: ‘Just over there is the emerging Freedom Tower on the site of the World Trade Center. ‘Those two were brought down in an engineered, fake terrorist attack. The one-man ‘Human Race Get Off Your Knees’ show has proved to be a tour de force after successful performances in Cleveland and Ohio. Future dates include Croatia and Amsterdam and a show at the 12,500 capacity Wembley arena in October next year. Pat McInally, the first Harvard graduate to play in the Super Bowl, tells Jonathan Liew how he built up a £2 million Winnie-the-Pooh memorabilia collection – and why he’s coming to London to sell it. Pat McInally’s home in Huntington Beach, on the sun-kissed fringes of California’s Orange County, is so close to the Pacific Ocean you would swear you could hear it lapping at the front door. Palm trees sway lazily in the breeze. Surfers come from all over the world to ride the towering waves. Even in November, it is T-shirt-and-shorts weather. It is an unlikely place to find a man who has devoted the past two decades of his life to building one of the finest stockpiles of children’s literature and related memorabilia in the world. On Wednesday, McInally’s Winnie-the-Pooh collection – a treasure trove of pristine first-edition copies of AA Milne’s books, original drawings, manuscripts, letters and photographs valued at about £2 million – will be exhibited and put on sale at the London bookshop of Pom Harrington, the dealer through whom McInally purchased much of it. There is no such thing as a typical collector, but if there is an atypical collector, McInally is surely it. A celebrated former American football player and a proud, God-fearing Republican, he has an American flag flying outside his house. Now 58, he is 6ft 7in and retains the broad shoulders and imposing presence of his football days. Latterly his main pursuit is coaching a high school team.